Learn more about developing enterprise IoT networks with LoRa. 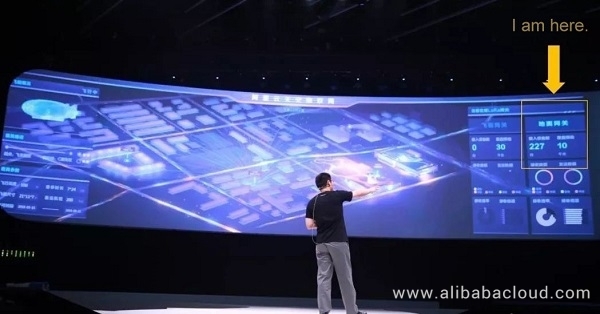 As shown on the large screen, a ground gateway covered a 10-km radius and was connected to 277 sensors distributed in various places of the Yunqi Town. All sensors simultaneously sent "heartbeat signals" that record temperature, humidity, crowd flows, vehicles, and other information. Afterward, Ding demonstrated a scenario where a Cainiao unmanned vehicle delivered a parcel to a user who was waiting in a parking lot 20 meters under the ground. Signals on the screen showed that the parcel was correctly delivered to the user. As soon as the user unpacked the parcel, the data screen at the main forum immediately showed that the parcel was opened. It features low costs. The network costs can be reduced by 70 percent. To this end, Alibaba Cloud has built a cloud-edge-device integrated IoT system. Currently, Chongqing Refine-Yumei Die Casting Co., Ltd. has taken the lead in deploying this system and making profits. 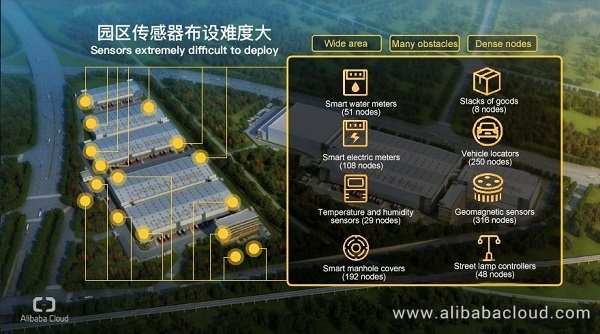 Through cloud computing, the system helps the production line become intelligent to improve the product quality by 5 percent, efficiency by 20 percent, and personal effectiveness by 15 percent.